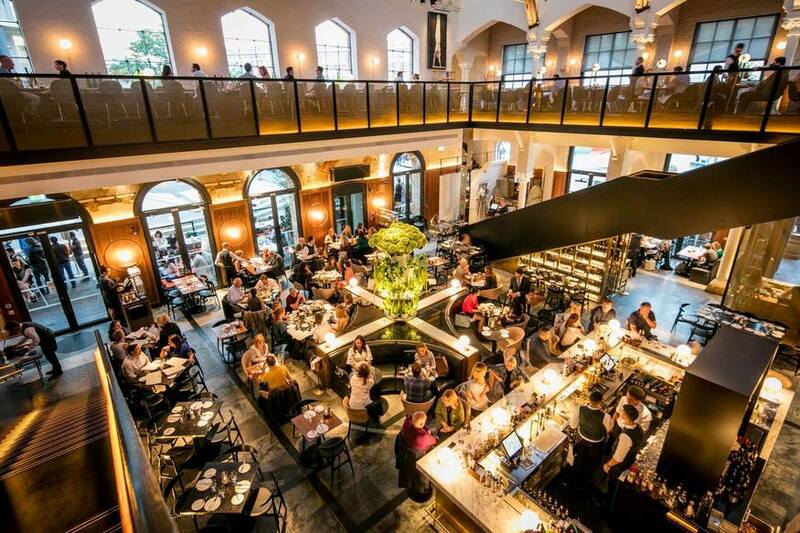 High tea goes Mittel-European at German Gymnasium. Looking for chandelier-hung, vintage glamour? Or sleek, modern twists on the classics? 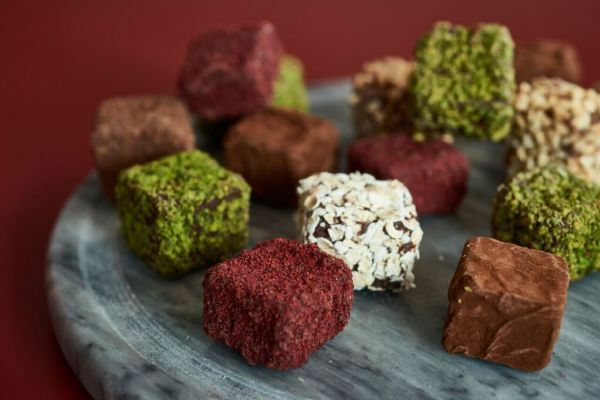 London has an afternoon tea to suit all tastes and we've scouted out the most glamorous, from the artistic to the Germanic, and from the traditional to the chocolate-centric. 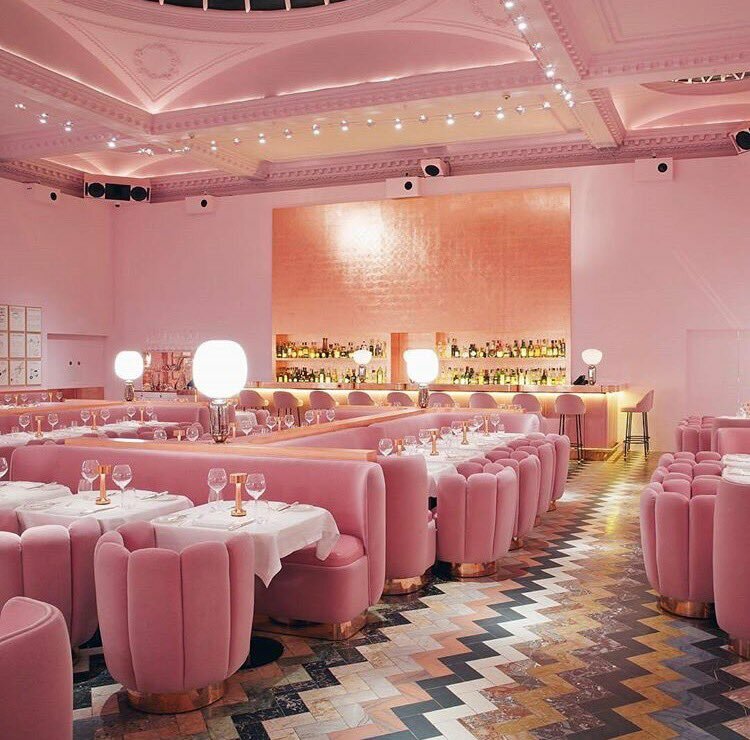 Sketch's brand of glamour isn't going to be to everybody's taste: the Gallery, where the afternoon tea is served, is very pink and pneumatic-looking, like being trapped inside a marshmallow. But it's distinctive, glossy and the walls are covered with David Shrigley artworks for you to feast your eyes on if the colour scheme gets to be too much to handle. As for the afternoon tea, the sandwiches and scones are relatively trad, but the cakes are as high-design as the interior. 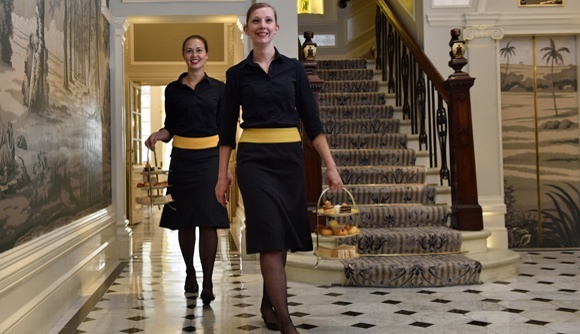 Price: £59 a head for the afternoon tea, or £73 a head for the Champagne afternoon tea. The afternoon tea at the Goring Hotel is traditional, classic and comes with 12 different tea blends and six infusions to choose from. The scones are freshly baked and served warm, with homemade jams. But it's all really just an excuse to bask in the fireplace-warmth and deep sofas of their bar, along with assorted celebrity guests of the hotel. Price: £49 a head for the afternoon tea, or £59 with a glass of champagne. 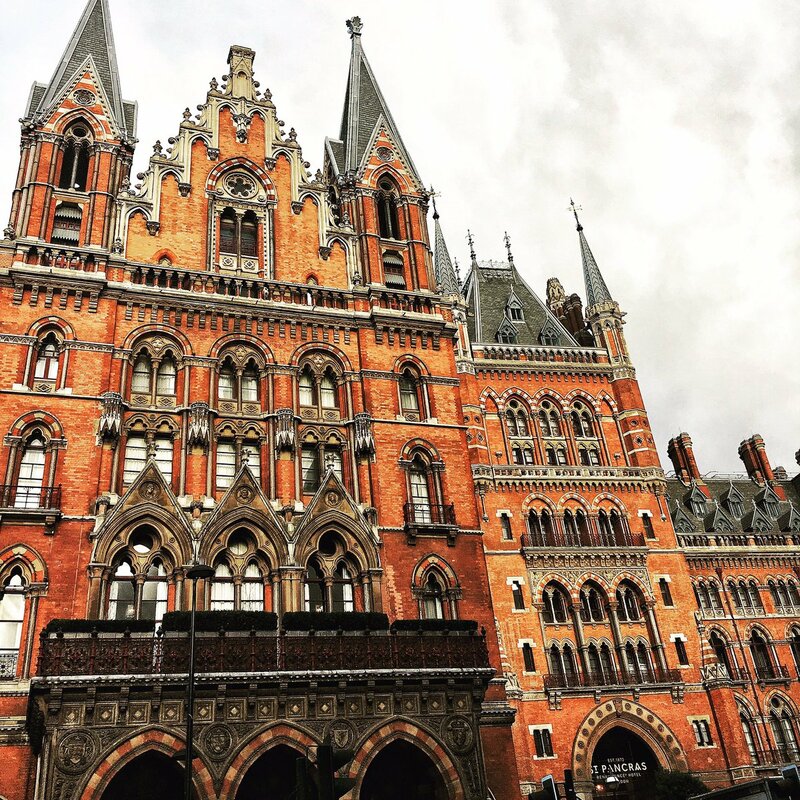 The afternoon tea at this King's Cross restaurant-bar is surprisingly good value, and one of the cheaper excuses for an hour or two in their ground floor bar -- a curved-boothed, glowing-lit monument to the grand brasserie style of life. Though they offer an a la carte selection for 'Kaffee and Kuchen' -- the Germanic coffee and cake pause -- they also do a German or Austrian afternoon tea menu. Both come with a selection of rolls, sweet, dense desserts and tea and coffee. For the German menu, desserts include Black Forest slabs and bienenstich, a baked cake from Munich with layers of almonds and cream. Price: £18.50 for the German or the Austrian afternoon tea, or £23 with a glass of Schloss Vaux Sekt sparkling wine. They take afternoon tea really seriously at The Ritz: read about Londonist's visit behind the scenes at this institution, for an insider's view into just how seriously. It's glamour of a formal, dinner-jacketed sort, with their Palm Court an ocean of starched tablecloths, silverware, chandeliers and -- as there's a dress code -- people in their Sunday best. Price: £57 a head for the traditional afternoon tea, or £76 with a glass of champagne. As transient as the fashion world itself, the menu changes every six months. Past desserts have included Moschino's blood orange sponge, a yellow handbag design wrapped in red chocolate, and Jason Wu's bavarois of cherry and coconut, with a small leg and high-heel made of biscuit poking out of it. Check the website for current offerings. Price: £52 a head for the afternoon tea, or £62 for the champagne afternoon tea. You might recognise the Corinthia, even if you've never crossed its threshold; the grand neoclassical frontage on Whitehall Place is pretty distinctive. Stays at the hotel feature underfloor heated marble, and penthouse guests are offered a 24-hour private butler service. So... imagine that level of old world luxury, but in afternoon tea form, and you're on the right track. Scones come in a small wooden chest, cakes are wheeled to you on a stately silver trolley by your dessert sommelier, and transferred with some ceremony to a freestanding cake-holder next to your table. A pianist gently rolls out the classics on a Steinway. The sparkling Baccarat chandelier matches your Baccarat champagne flute. Traditional glamour: high. Scones: on point. Rhubarb jam: genius. 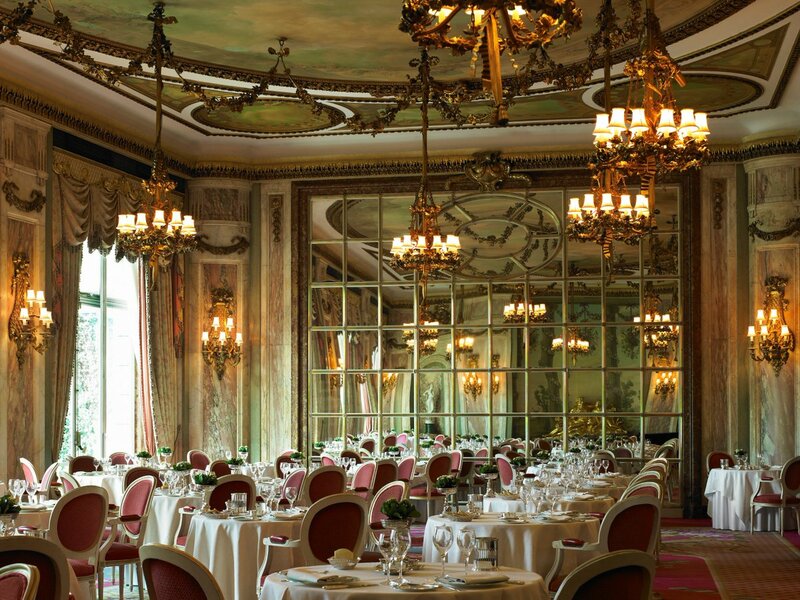 Price: £45 a head for the afternoon tea, or £55 with a glass of Laurent-Perrier champagne. 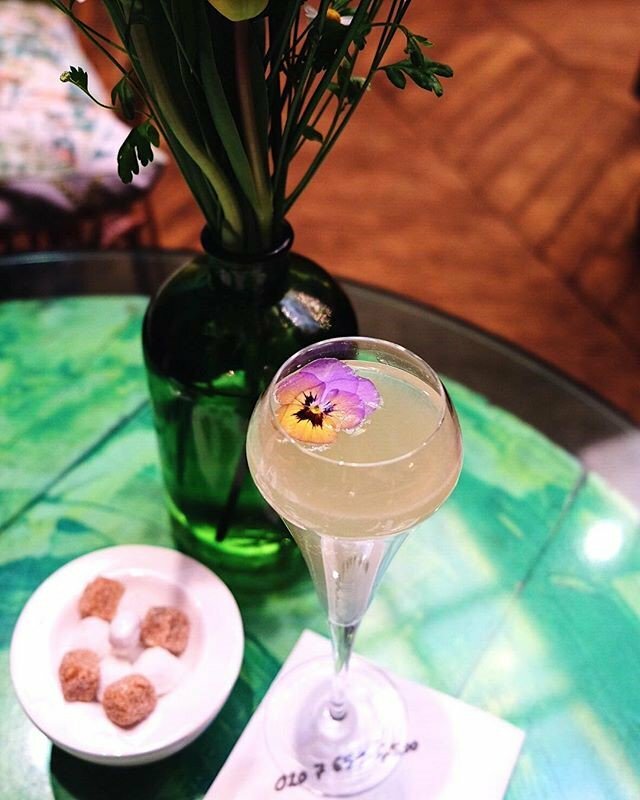 The bar of Marcus Wareing's King's Cross restaurant isn't the most obvious place for an afternoon tea: it's best known for its cocktails. 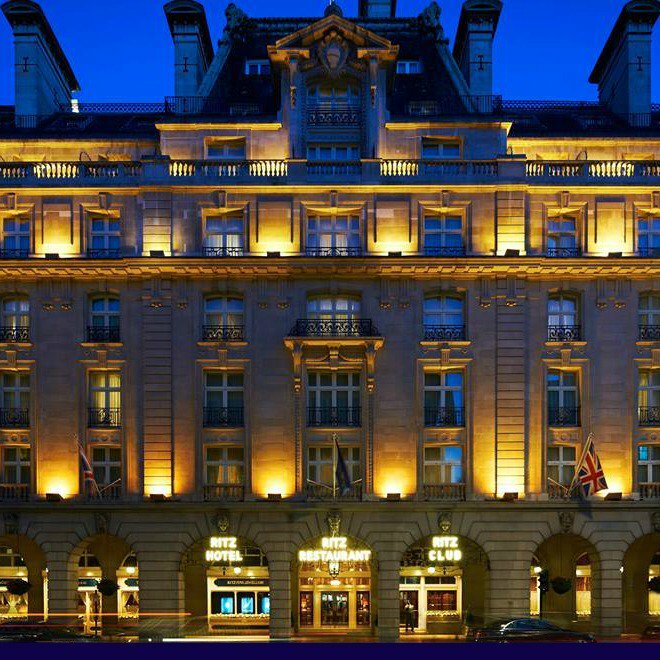 But the Classic Afternoon Tea is relatively good value compared to the offering at other high-end London hotels - and when you think of it as glamour per pound sterling, it's a bargain. The sandwiches, scones and pastries are traditional rather than ground-breaking surprises, but the real reason to visit is the beautiful, 19th century magnificence of the room itself. Price: £35 a head for the Classic Afternoon Tea, or £47 for the Champagne Afternoon Tea. Book a velvet sofa at Mr Fogg's and get ready for a marathon of macaroons, sandwiches and Victoriana. The glamour at Mr Fogg's comes partly from the opulence, partly from the mystery -- 'After a particularly unpleasant incident in Svalbard... Mr Fogg will no longer entertain the consumption of scones on his premises' -- and partly from the steady flow of champagne cocktails. We mourn the lack of scones. But we acknowledge a bottomless teapot of cocktails like the Belvoir Castle -- cherry puree, rose liqueur and champagne, among other things -- is a good attempt at distracting you from it. Price: £40 a head for the Tipsy Tea, with a single teapot of gin or champagne tea. For £62 for gin, or £72 for champagne you can make that Tipsy Tea with a bottomless teapot. It's a chocolatier, it's a boutique, and now it's also a dark red-boothed patisserie-bar. Expect a delicate, beautiful and enormously rich tower of cakes at the chocolate afternoon tea. And not a cucumber sandwich in sight, which can only be a good thing. Almost everything's nuanced with chocolate, decorated with chocolate or made entirely from chocolate. 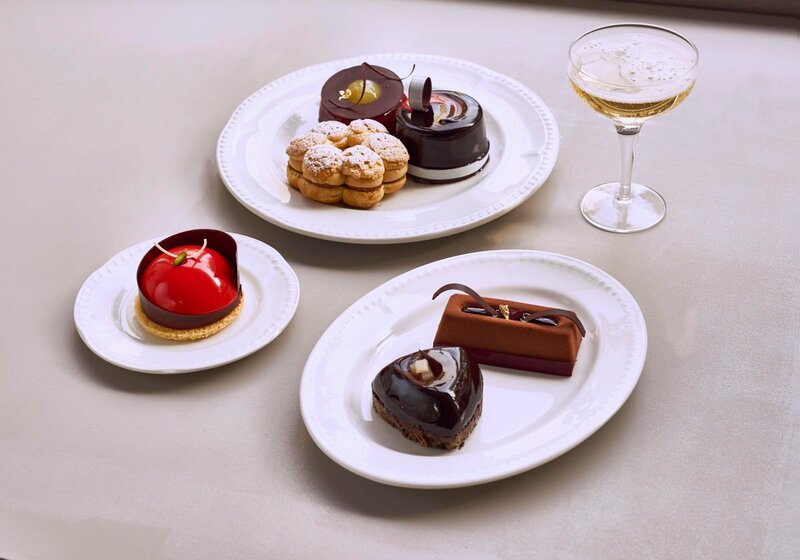 The scones with cacao nibs and the Grand Cru chocolate mousse are highlights, but nothing at the afternoon tea drops below the sleek, high-luxury bar set by the Sloane Square location, the aproned staff brandishing champagne saucers and the mountains of hand-curlicued chocolate on display all over the boutique. Price: £35 a head for the chocolate afternoon tea, or £45 each with a glass of champagne.